At least one school in China is trying out face recognition software that scans students’ faces to check if they’re paying attention in class, Epoch Times reports. Called “smart eyes,” the tech reportedly provides teachers with real-time data on students, whose “moods” are categorized as surprised, sad, antipathy, angry, happy, afraid, or neutral. 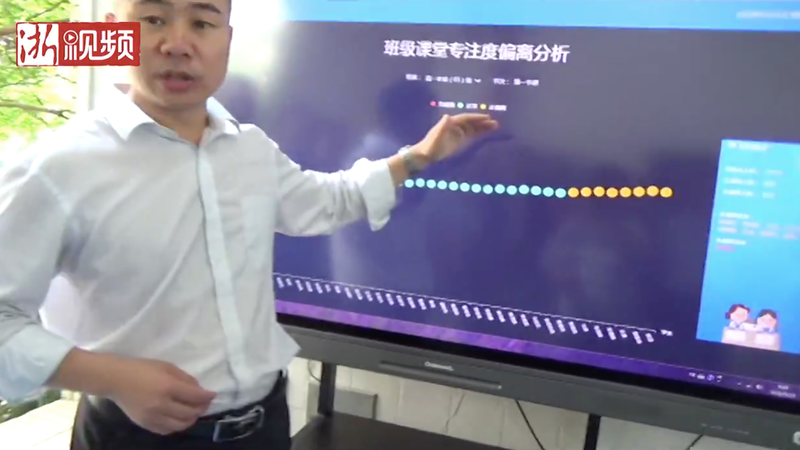 Hangzhou Number 11 High School, in the country’s eastern Zhejiang Province, has been trialing the software since March, with instructors for the school telling state-run media they plan to use the software to alter their teaching style. Teachers are reportedly able to graph student attentiveness over time using the software. Because the facial feedback from students is timestamped, instructors can potentially even discern which specific lesson kids were most distracted in. It’s not clear what happens when the software flags a student as not paying attention, or in an “angry” or “sad” mood. Are their grades impacted, parents warned, etc? As a more altruistic example, in the video an instructor says the software is smart enough to even detect when a student isn’t feeling well, potentially even before a teacher might notice signs. But it’s also not clear if the tech actually works as advertised, or if it’s being used in other scenarios. The Epoch Times report does not include information on the makers of the software. Epoch Times notes that students were, like all of us, very wary of persistent surveillance, but eventually came to see the software as normal. It’s not clear if parents were petitioned before the software was installed, but online responses in China has been largely negative: “They are not studying machines. Any human being will have moments when their mind wanders,” a user wrote on the Sina Weibo microblogging platform. In the US, schools have turned to advanced surveillance technology, including face recognition, with the goal of protecting students. Schools in New Mexico installed acoustic devices that respond to the sound of gunfire, while schools in Arkansas have allotted thousands for a face-recognition program meant to screen visitors.